The shape of heart symbol is based on the shape of the human heart although without all the additional plumbing of arteries and veins surrounding he heart. That would be far to gory to give someone on a Valentines day card.. 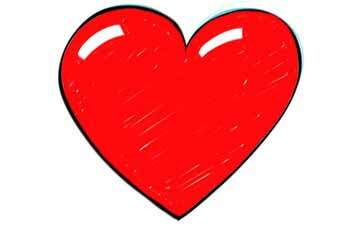 So, the heart we will learn to draw is far more appealing to look at than the human heart. This simple heart drawing lesson will show you how to draw a valentine heart or you could say, "How to draw a love heart," because this heart is a symbol of love. 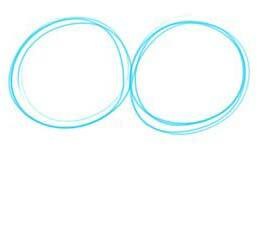 Draw two circles side by side. down to a point below the circles. 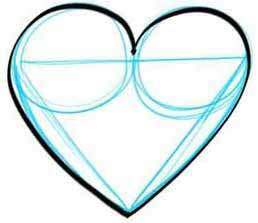 If you wan to know how to draw different kinds of hearts, you can vary the proportions of shapes,. 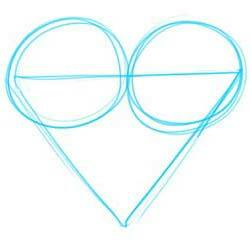 Make the cirlcles into ovals or change the height of the triangle and you will be creating different hearts to draw. 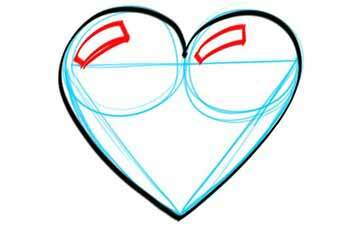 Heart Drawing Tutorial Step 4: Look out valentine, this heart is looking good! If you wish you can take amarker of Dark Pencil and outline your heart. You can also skip this step if you don't want a dark cartoon outline. Heart Drawing Tutorial Step 5: Make your heart sparkle. 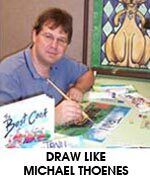 Heart Drawing Tutorial Step 6: Paint your heart red, the color of love! Color the heart. 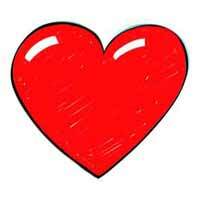 Red is common for heart.Ponk and purlpel ar popular, but you can color you heart drawing however you like. Rain bow would be fun. Here is a very siimilar video lesosn I made. The highlight is on the other side but the basics are al lthe same. Have fun drawing a heart! "How to Draw a Heart!" 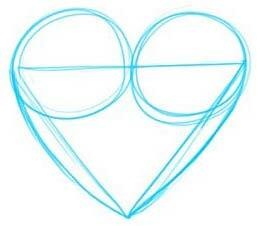 Know that you know how to draw love hearts, draw some for someone you love. It will make their day!